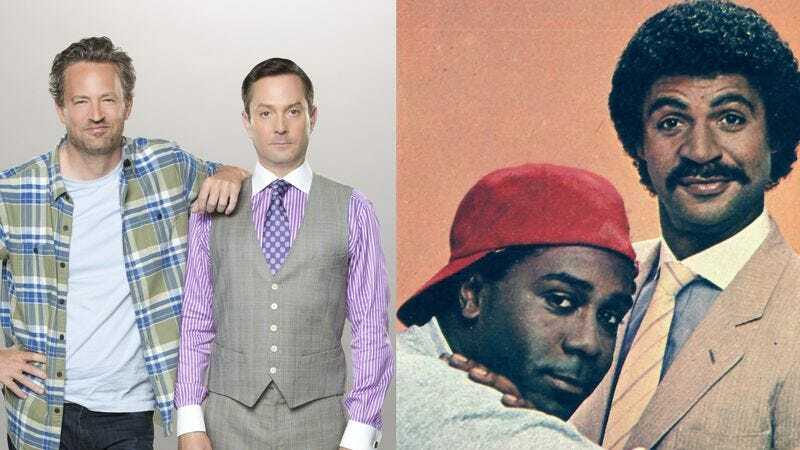 On Thursday, February 19, CBS unveils The Odd Couple, the third TV adaptation of Neil Simon’s play about a slovenly sports writer (Matthew Perry) rooming with his fastidious pal (Thomas Lennon) after their respective divorces. The long-running sitcom was remade once before—with Ron Glass and Desmond Wilson playing The New Odd Couple—and that’s not to mention unofficial Felix-Oscar pairs like the animated Oddball Couple or the more recent Two And A Half Men. (The series finale of the latter, fittingly, will lead into the premiere of the new Odd Couple that’s not The New Odd Couple.) There’s a timeless appeal to watching two grown men trying to share an apartment without driving each other crazy, but why make another Odd Couple when there are so many other rich TV concepts ripe for updating? Especially when most of them had much shorter runs than The Odd Couple’s 114-episode tenure on ABC.